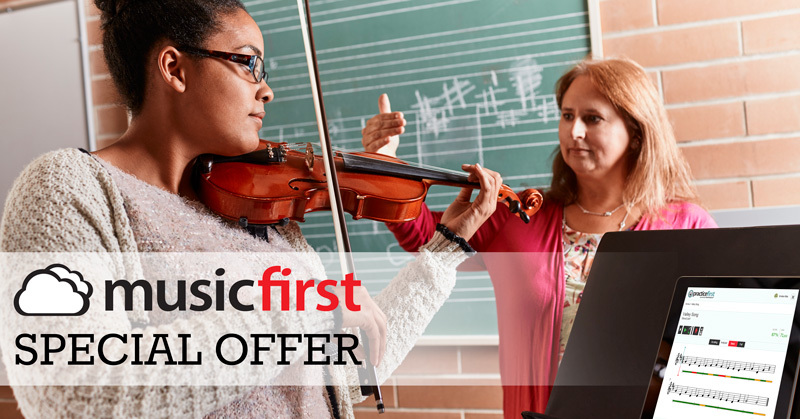 Want to use MusicFirst with your students for the rest of the year at half price? Take advantage of our limited time offer! Beginning January 1, MusicFirst will once again be offering half-price subscriptions of the MusicFirst Online Classroom to new users. The award-winning Online Classroom keeps your students, classes, and assignments all organized in one easy to use platform. Whether you want to prepare students for your end of the year concerts, or engage students with creative and exciting software, MusicFirst has a package for you. Email info@musicfirst.com for more information. Orders must be received by February 28, 2017 to qualify for this promotion.